If you are getting any repair work done on your house, it is important to know the anatomy of a roof. While the shingles and flashings often take center stage when discussing roof repair, the fascia and soffit only become relevant when discussing gutter installation and repair. The fascia and soffit are incredibly important for both the livability and structural integrity of your home. 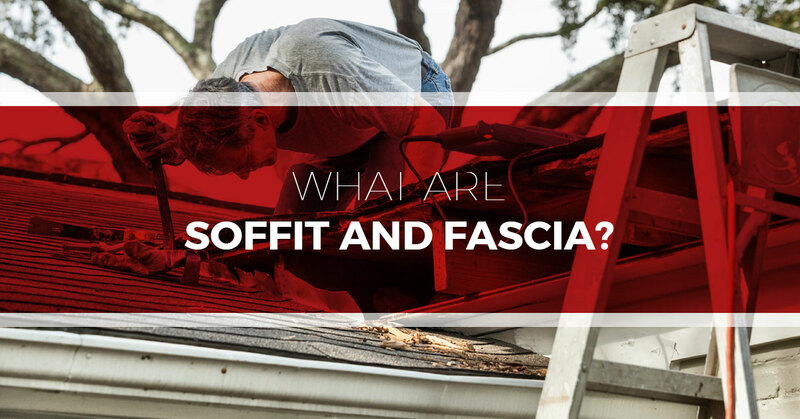 The experts at your Top Rated Local® Nashville roofing company, Tim Leeper Roofing, are here to discuss the differences between fascia and soffit and why it is important to maintain these parts of your roof. If you need a new fascia board installed or want a trusted roofing technician to inspect your roof, call Tim Leeper Roofing for a Speedy Fast Quote® at 615-553-2782. The fascia, or fascia boards, is the section of your roof adjacent to the gutters. It is the panel that runs alongside the gutters and directly below the end of the shingles. It is an extremely important part of the roof because it protects your attic or crawlspace from water damage and pest infestations. The fascia is a line of defense meant to protect the edge of your roof. The fascia also serves an aesthetic purpose. The fascia evens out what would be an otherwise extreme angle created by the end of the exterior wall and the roof. Most homes constructed recently have fascia, while older homes tend not to have fascia. This makes older homes more susceptible to water damage in certain weather conditions. The most common issue with the fascia on your roof is water damage and rot. Older homes often have wooden fascia boards, if they even have fascia at all. As time and weather erosion take their toll, the fascia can crack and begin rotting, making your home vulnerable to a whole host of issues. If the fascia on your roof begins rotting, it is important to call a roofer to repair or replace your fascia board. If immediate action is not taken, your gutters may become weak and fall off. Rotten fascia also allows squirrels, rats, and raccoons to infest your attic or crawlspace more easily. As the wood rots, it becomes easier for animals to tear away the wood and nest in your living space. One of the best solutions to preventing fascia damage is to install aluminum fascia, which will protect the wooden board that your gutters are attached to. For this installation, it is highly advised to hire a professional roofing company like Tim Leeper Roofing. Have you ever wondered what the exposed section underneath a roof eave was called? You know, the one that connects the exterior wall to the fascia? That is the soffit. The soffit’s primary function is to provide ventilation to the attic and rafters of your house, making sure things don’t get too stuffy or humid. Without a soffit, the house is more susceptible to rot and mold in the sheathing and rafters. Soffits are exposed to lots of heat and moisture. If you haven’t been diligently cleaning your gutters out, excess water tends to run across and down the soffits. If your soffits are made of wood, this results in rot. Similar to the fascia of your roof, rotten soffits are easy points of access into your eaves and attic for rats, squirrels, and raccoons. If you notice that your roof’s soffit is rotten, it is time to take action. One of the best options is to replace the wooden soffit with a vinyl soffit. Vinyl is a great cost-effective material that can withstand the heat and moisture exposure without degrading like wood. Vinyl is also more pest-resistant than wood. After you replace the fascia and soffit of your roof, make sure to get your roof inspected frequently by a professional roofer. In addition, the gutters should be frequently inspected and cleaned to prevent any water build up that may leak into the fascia. If you decide to go with wood instead of vinyl, painting and sealing the soffit and fascia of your roof frequently will extend the life of your roof. Painting and sealing will also do a better job at keeping pests, mold, and rot from occurring in your attic and rafters. If you are looking for a trusted roofing company to handle your soffit and fascia replacements and repairs, look no further than Tim Leeper Roofing in Nashville. No matter how big or small the job is Tim Leeper Roofing in Nashville is here to help you or your commercial business. Our Top Rated Local roofing company is dedicated to taking care of all of your roofing needs. Visit our website or give us a call today at 615-553-2782 for a free quote today.